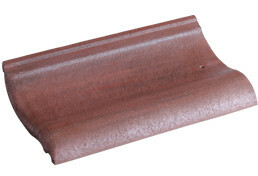 Klober’s Clay Plain Tile Vent is a discreet in-line ventilating tile, suitable for clay and concrete plain tiles that provide 9,000mm2 effective ventilation area. 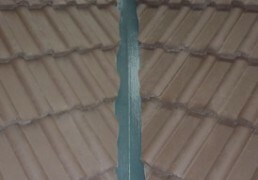 Categories: Pitched Roofing, Tile Vents, Ventilation, Ventilation Tiles. The DryVent Monoridge System provides a continuous weathertight air path from the roof void to the outside with a mechanically fixed monoridge to comply with the requirements of the Building Regulations. The components that make up the DryVent Monoridge System comply with BS 5250: 2002 and BS 5534: 2003. Natural smoke and heat exhaust ventilators keep escape and fire brigade access routes free by leading smoke and heat up and out of a burning building. This means that buildings retain their fire-resistant properties and that damage to valuable assets is limited as much as possible. 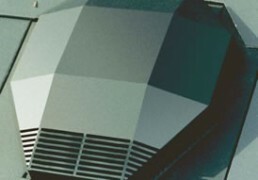 Natural smoke and heat exhaust ventilators are typically used in common access areas such as stairways and annex connections as well as in industrial buildings and offices. 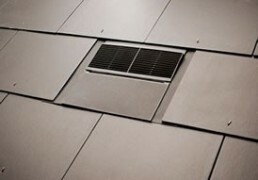 The VELUX Smoke Ventilation System – a complete natural smoke and heat exhaust ventilator system, facilitates compliance with building regulations on smoke ventilation. Innovative new solution for a flat roof where smoke ventilation is required. 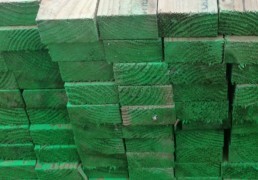 Available for 0.88m2(100×100) or 1.30m2 (120×120) of smoke free ventilation area. • Double glazed window with protective polycarbonate cover. • 10 year VELUX guarantee for the windows, panes and kerbs, 3 year guarantee for the electrical components. • Tested and certified to EN ISO 12101-2. 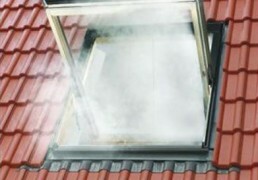 The VELUX Smoke Ventilation System is available for 1m² or 1.5m² of smoke free ventilation area. Centre-pivot window made of high-quality natural pine with clear lacquer finish. • Comes with laminated inner pane for additional safety with clear and clean coating on outer pane to keep the glazing cleaner for longer. • For Geometric Smoke Ventilation our systems are tested and certified to EN ISO 12101-02 for roof pitches 15-90 degrees. • For Aerodynamic Smoke Ventilation our systems are tested and certified to EN ISO 12101-02 for roof pitches 15-60 degrees. • System can be upgraded to comply with aerodynamic smoke ventilation requirements by the inclusion of the optional KFD external wind deflector. • 10 year VELUX guarantee for windows and panes, 3 year guarantee for the electrical items. 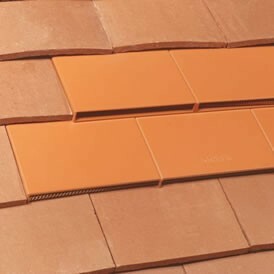 Ventilating tiles for slate finished roofs Uni-Line Slate Vent is a cleverly designed, fully wind tunnel tested in-line vent, suitable for roof pitches of 22.5° and above. 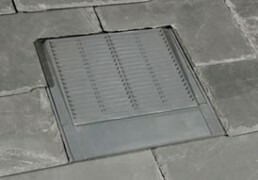 Mini Uni-line Slate Vent is a universal in-line Slate Vent that suits most small natural slates. 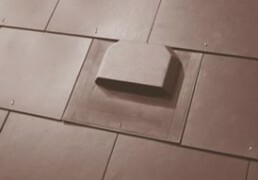 Large Slate Vent is a ventilating slate tile to suit 600mm x 300mm (24″ x 12″) and 500mm x 250mm (20″ x 10″) double lap slates, man-made or natural, for roofs with a pitch over 20°. 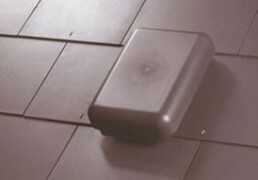 10k Slate Vent — in addition to roof space ventilation at high or low level, with an adaptor pack, the UV resistant polypropylene 10k Slate Vent can also be used for soil ventilation or mechanical extraction. Klober’s GRP Valley Troughs provide a robust, durable and lightweight alternative to lead and zinc valleys. profile and a bullnosed leading edge design. Accredited to the BES 6001 standard for responsible sourcing. SVK Montana slates have a textured surface with natural looking dressed edges which are painted to a uniform finish. 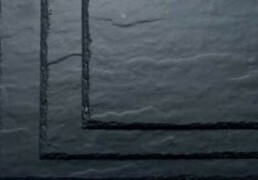 Montana Textured slates combine the natural look of genuine natural slates with all the benefits of fibre cement slates. Available in Blue/Black and Welsh Blue colours. Montana Textured slates require no preliminary grading and are available with matching accessories with a smooth surface.